Purplle.com is India’s no 1 beauty destination. We are using technology to help our consumers connect well with the entire beauty ecosystem. We offer best beauty products that can be bought at the ease of one click or one can book a salon at their convenience. There are lots of beauty inspirations for consumers to explore like collections, curated pages etc on Purplle.com. 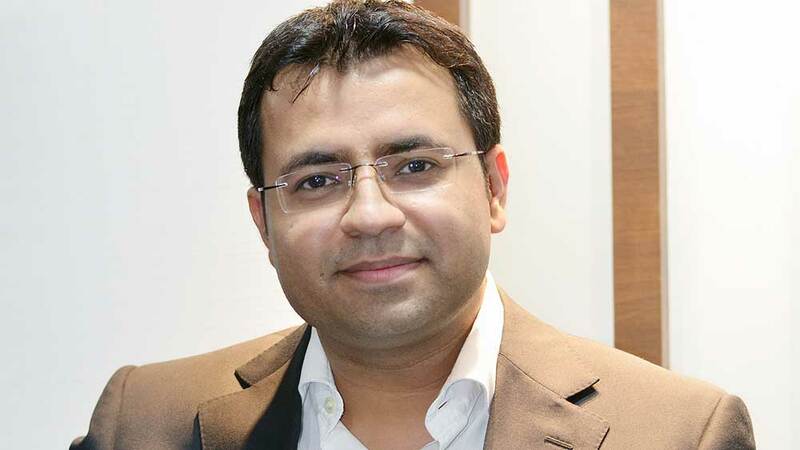 In an exclusive conversation with Manish Taneja, Co-founder and CEO, Purplle.com, Wellness India find out, how this most sought after online wellness retailer has scale up its beauty products marketplace business in cost efficient manner and making rapid inroads into the services market. What are the products and service categories listed on purplle.com? There are three major categories around which we have built our website. The first is the Beauty Product Marketplace where products catering to make-up, skin care, hair care etc., are listed. The second is the Salon Booking Marketplace where we list and accept bookings for salons and spas near you. The third is Purplle Salons, which is our chain of Premium Economy Salons, through which we aim to create a great salon experience for customers. How many brands, salon, spas and skin care clinics are listed on your portal? We currently have around 450 product brands live on our website and around 6,300 active salons and spas spread in over 12 cities. What is the ratio of organic and cosmetic products and services? Almost 20 per cent of our current brands are organic. What’s the price range of the products and services? We get the products at the best prices for our customers. Currently, the price range for beauty products is from Rs. 50 to Rs. 10,000. What is the target of age group of consumer? We have something for everyone! Be it teenagers, college students, office-goers or even home makers, Purplle has products for everyone. Our target customers are men and women between the age group of 18- 30 years. How many cities you supply to and what’s the target? In terms of products, we deliver in 420 cities as of now. We plan to expand to 900 cities in a couple of years. We accept booking for salons and spas in 15 cities. Purplle Salon is only based in Mumbai as of now, coming soon to Delhi. What is your transactions rate a day and what’s the target to be by end of 2016? Right now, we receive around 2000 orders per day. Our target is to reach 10,000 orders by the end of next year. What are the future expansion plans? We want to focus on Purplle Salon for bringing the best salon experience to our customers. Our next step would be to bring international brands to India and introduce our own brands in the market. What are the plans of venturing into new products and services in beauty and wellness space? We already have enough work for us and would want to focus on that for now. How do you see the competition in the market? The online platforms for selling beauty products comprise less than 1 per cent of the beauty market. Hence, we largely compete with offline business models. What is the total investment that you have put in Purplle.com? So far, our total investment has been around $5 million. Any plan of going for funding? We are raising our Series B round to the tunes of $15 million. What is your annual turnover and what the target for upcoming fiscal? Our current turnover is $10 million. Our target for financial year 2016 is $40 million. What is your view of Indian beauty and wellness industry? 5 ways to boost client relationship in salon..